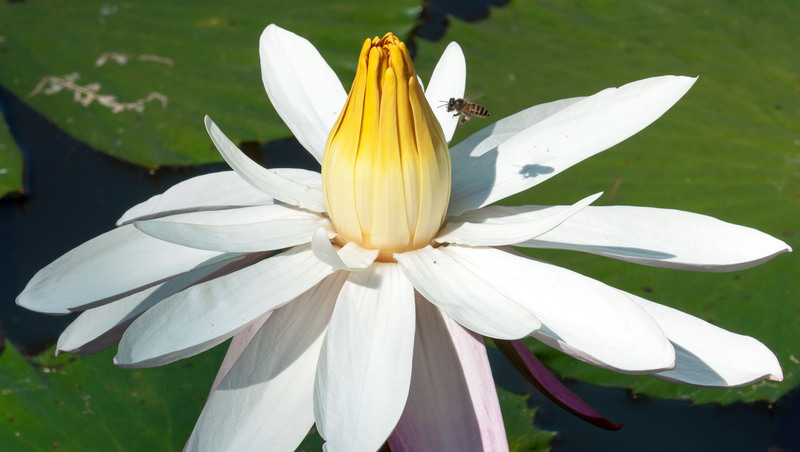 Whilst taking pictures of water lilies in Queen Sirikit Botanic Gardens (Chiang Mai, Thailand) I noticed that there were bees feeding on the flowers. Honey bees are generalists and visit a huge range of flowers, which they pollinate whilst feeding on their pollen and nectar. There are five species of honey bee in Thailand and I think this is one is the Asian hive honeybee (Apis cerana) which is known to feed on lily pollen (1). Bees are not the only insect to feed on lily pollen, but they clearly like these beautiful flowers and perhaps they taste nice as well! 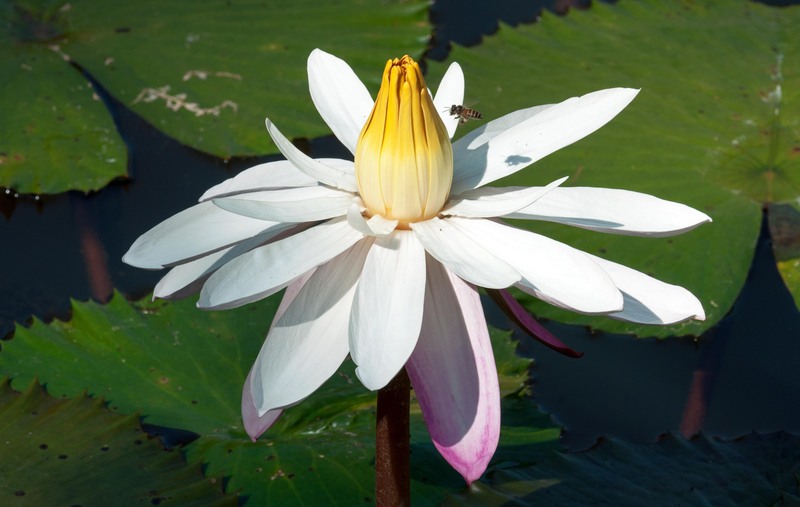 What is interesting, was that they were feeding on the pollen before the water lily flower had fully opened. 1) Suwannapong, G., M. E. Benbow & J. C. Nieh, 2011. Chapter 1 – Biology of Thai Honeybees: Natural History and Threats. In: Florio, R. M. (Ed. ), Bees: Biology, Threats and Colonies, pp. 1–98. Previous Previous post: Wear and tear!